Australia’s oldest stud of Pure Colonial Arabians. Forest Hill Stud Breeders of Straight Egyptian Horses beautiful show horses and Endurance horses. At Stud: “Storm Warden” reg’d purebred Arabian & Aust. Saddle Pony stallion. Call: (02) 6258 1019 for more details. I have several stallions at stud. Various horses for sale that are capable of endurance, trail, performance and showring competitions. As well as some very good breeding prospects. Home of “Whitsunday Akarm” one of only a handful of Pure Arabian stallions also registered Studbook Australian Stock Horse. Home of SAAREEF(Simeon Saar(imp)dec x CEDRINUS Phantasia) & DASSTROYER (Dassefa (exp) x Anatase Savanna). Breeding beautiful versitile performance horses .Stallions @ Stud. Simeon Shagrir (imp) (Plakat x Nadira of Tersk), Popov (Sambist x Fairview Seraninska), Sambista (Sambist x Electra Tai). for PROVEN not promised endurance results. Breeding hight percentage and pure crabbet arabians. (Samiri ex Devotion) and Silver Somerio (Somerled ex Silver Doura). Mrs. R. Coombes – Call: (02) 6585 6761 a.h. Highly Intelligent! The Sultan and Kings Horses. The dreams of the Arabian Nights. Paloma Stud Arabians is Honoured to perpetuate this Noble Breed. Arabian and Arabian Bred horses and ponies of exceptional breeding and beauty. as requested,also some free to good homes that are also sensational. 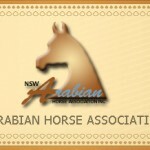 Breeders of Welsh A & partbred, Australian ponies & Arabian ponies. saddle or harness, then look no further. Sarahn~ Breeding, Training, Exhibiting. Arabians,Derivatives & Riding Ponies. Mixed part and purebred arabs for sale, high crabbet lines. Quiet natured, lightly handled and used to harsh, dry conditions. Breeding quality Anglo and Arabian Warmbloods for discerning riders. Youngstock usually available for sale. Stallions at stud to a limited number of mares.